Monster Truck Palooza Is Now Monster Truck Pit Party at AMA Expo West « Big Squid RC – RC Car and Truck News, Reviews, Videos, and More! 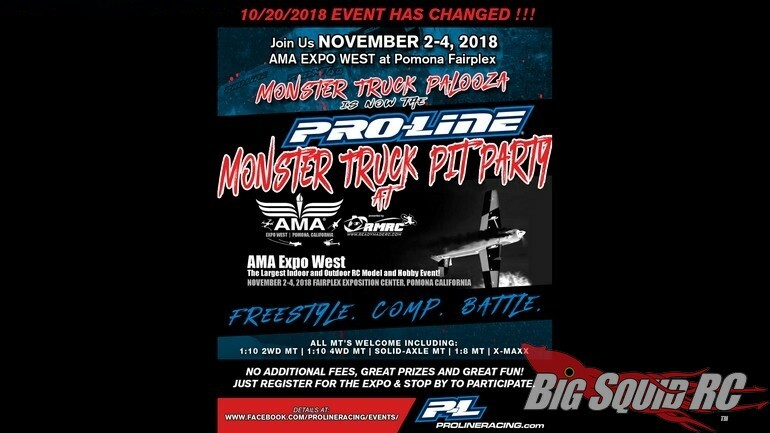 The good folks over at Pro-Line have announced that Monster Truck Palooza has changed to the Monster Truck Pit Party at the AMA Expo West. The AMA Expo takes place on November 2-4 and You Are Invited To Participate! Come on out for three days of insane monster truck racing, as well as freestyle and other monster truck activities. To get all the details, as well as to get pre-registered, use this link to head over to the official Pro-Line Monster Pit Party sign-up page.